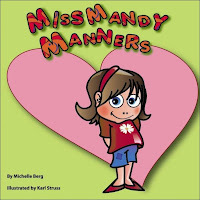 Miss Mandy Manners by Michelle Berg and Illustrated by Karl Strauss is available at Little Nipper Books for only $16.95 + $2.00 Shipping or Amazon.com . Don't forget to come back to download your Miss Mandy Manners Lessons and Support Activities! 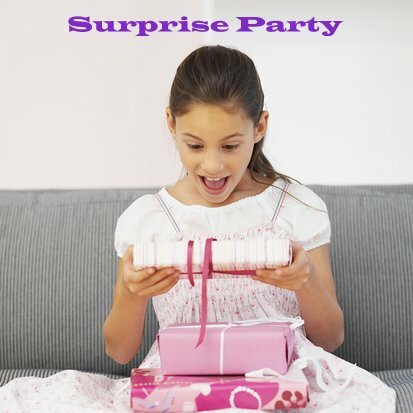 Michelle Berg has generously provided a hardcover copy of Miss Mandy Manners as a giveaway to one lucky reader of Happy Birthday Author. Post a comment to this article to qualify for the drawing. You can even receive an extra entry if you mention that you shared the information about Michelle Berg and Miss Mandy Manners (Twitter, Facebook, Word of Mouth). Deadline for entry is Friday, May 21. Make sure you leave email information. This sounds like a great book! My daughter would love it! Thanks for the chance. This book sounds great. I loved the interview. I know I would really use it in my kindergarten class. This contest is closed. Congratulations to Nancyefor winning Miss Mandy Manners by Michelle Berg.